I am surprised to find that I really like my new smartphone. My previous phone, a Motorola Bionic, was getting too slow and the battery life was awful. I almost got a Samsung Note 2, but am now glad I did not. 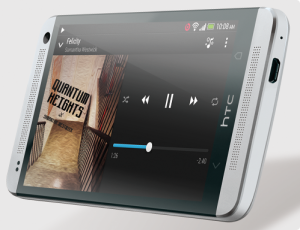 Here’s why the HTC DNA is, imo, the best smartphone on the market. 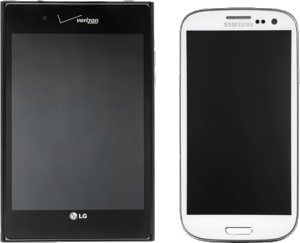 Fast Processor – the difference between dual and quad core is really significant. No more waiting for my phone to ‘think’ after I click an icon. I’m sure the upcoming 8-core chips will be even faster, but quad core makes the phone usable with today’s more aggressive apps. Slim Profile – the HTC feels good in the hand – solid, svelt, and not plasticky, like some complain about the Samsung phones (that doesn’t really bother me, as long as the phone lasts a year, who cares?). But this phone is slim and feels good. Rapid camera start – thank you quad core, and thank you HTC for engineering both camera and video to start and record without a delay. I’m sure the 2GB of RAM helps too. Built in HDR – most newer phones have this, love it. 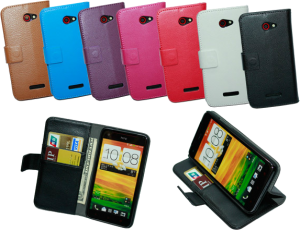 Wallet case – finally, I can scratch another item off of my bucket list – combining my phone with my wallet. Heck, one day my phone will BE my credit card. Until then, at least I’ve now got only one big item to carry instead of two. No replacable SD card or battery – this is a small thing, but it’s nice not to have to move an SD card from the old phone. Sure, it’s of a fixed size. But will 64GB really be required? Not yet. And the fixed battery allows for a slimmer form, even with my favorite feature, #10. Battery Life – I really use my phone for battery intensive activities, including hotspot, and 3 hours of bluetooth transmission as I listen to podcasts during my commute. This phone lasts the whole day without dying. 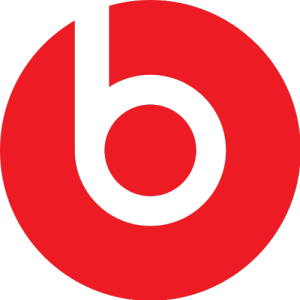 Beats Audio – I had assumed that (1) Beats only worked with wired headsets, and (2) it was only useful for listening to music. WRONG! First, it boosts both volume and base on my stereo bluetooth headset, and second, for those podcasts whose volume can’t seem to overcome the road noise of the commute, beats puts them easily into hearable range – no more dropped words. This is now an essential feature for me. Who knew you could use Beats without listening to Dre or 50cent? Wireless Charging – while you can buy a new battery cover (and sometimes a required battery pad) to take advantage of wireless charging on some phones, the DNA is one of the few phones that have built in support for the qi wireless charging standard. I love just laying my phone down to charge on my nightstand, instead of fiddling with that damned micro-USB port. 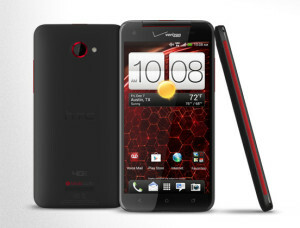 HTC One, Samsung Note 2? Not supported! There is still a lot of room for improvement, don’t get me wrong. IR Blaster – I love my Harmony Universal remote, but to control it all from my phone? Nice to have – but not essential. Already present on the One. LED Projector – I am not sure why this hasn’t taken off, but the ability to instantly project a photo or video you just shot, or even real-time, sounds like endless fun. And not just for teens. 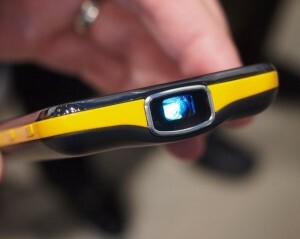 Samsung created the Beam, but otherwise low specs and poor distribution meant it did not catch on. Yet. Aspect ratio – I don’t like the 16×9 movie-sized ratio on any of the android devices, phones or tablets. For phones, it sets the center of gravity too high, and makes the phone want to fall out of my hand. It also makes vertical reading feel cramped. I much prefer the more squat ratio of the iPad and iPad mini. We’ll see if LG (who almost got it right with the Intuition) or HTC can eventually get this right – tall and skinny, no – I like my phones like my women – tall and full figured! OS Improvements – as Apple fanboys rightly proclaim, your thumb just can’t reach the top of a larger screen without shifting your one handed grip, or using two hands. It’s a trade off (which a change to aspect ratio might help with), but some apps have already smartly moved all of their controls, esp. the menu icon, to the bottom of their apps (following Apple’s long time design). My only other wish for out of the box functionality would be to make better use of the screen by allowing me to change from a 4×4 icon setup to a 5×5 setup. Right now, I have to use an altnerate launcher like GoLauncher to make this happen.